Ironically, last Friday, I published a post criticising American Express Platinum for launching a poor quality Priority Club promotion. And then, what should appear in the post, than a genuinely very attractive deal. A free night, for all American Express Platinum cardholders, at a selection of Melia hotels. Importantly, there is NO requirement to book further nights – a one-night, totally free, stay is permitted. These are all very nice properties, in theory. Gran Melia is the top tier of the Melia brand portfolio, whilst ME is their ‘W-style’ lifestyle brand. I like the sound of this one! You can book from now until 30th November, for travel dates between 1st July and 30th November. Full details, including some black-out dates, can be found here (link deleted as now dead). It is not clear if you still need to have the Platinum card when you do your free stay. One person who booked last week was told that the hotel would charge the stay to his card and then Amex would automatically cancel it, but I don’t believe this as Amex would not know the underlying room rate. My guess is that you probably could get away with it if you had cancelled your card, but I wouldn’t personally risk it. If you signed up for Amex Platinum now, you would still be able to take part in this promotion. Don’t forget that you also receive 30,000 Membership Rewards points for signing up, worth 30,000 Avios points. My full review of Amex Platinum can be found here, and full details of the 30,000 Avios sign-up bonus can be found here. The Amex home page for the card is here. Just signed up for Platinum card using a targetted brochure I got via the post. 40,000 Avios if I spend £2,500 in 3 months, plus £225 fee instead of £450. Thanks Raffles, great work as ever! Thats a good deal, have you had the Plat card previously. That’s a good deal, didn’t know they were still sending those out. No, I’ve never had a platinum card, and interestingly the mailshot was sent to a previous address that I lived at (but luckily I have tenants who forwarded the mail!) so doesn’t seem linked to my current BA Amex account in anyway. When I did the online application they didn’t approve straight away, maybe they smelt a rat when I over-wrote the mailshot address with my proper address? Forgive my total ignorance, but does it have to be the card holder who stays in the room or can the booking be made for someone else? And would the same go for the Fenix Madrid FHR benefits? Booking must be made in name of cardholder. Easiest way to try to get round it usually is to book for 2 people, put both names in booking, and for other person to check in. However, it seems the hotel will want to see a Plat card before comping the room, give what callers are being told when booking, so unless you want someone else to impersonate you it won’t work. And impersonation only works in countries where the law does not insist on seeing photo ID at check-in. I was not told about showing the Platinum card. But I will now to make sure. Thx! I will probably call back at some point to double check. Hmm – the brochure explicitly stated FHR benefits were honoured at that property so hopefully it’s just a dodgy agent! Any issues re availability or was it quite easy to get the dates you wanted? Considering that one myself! I called back and looks like it was just the operator who was not aware of it. So now getting dinner, breakfast, late and early checkout and possible room upgrade from a “Deluxe room with patio view”. This must add £150 to the value of the booking. Woohoo!!. I had no problem booking and they gave me the first night I asked for (Saturday 28th September) . Well, thought I had missed out – one of the three blackout dates for the Fenix was the one date we wanted! But a call to the helpful Amex travel chap led to the question: why the ME, the Fenix is a much better deal – and we have a room available! Now if we get IB new Business Class that would be the cherry on top! 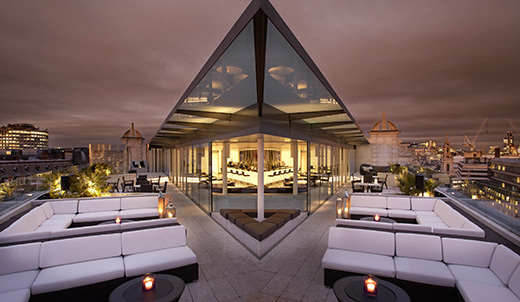 Thanks Rob, another great pointer… booked the Fenix in Madrid, one night on mine and one night on my partner’s Platinum card (we have two card accounts, not for much longer though!). Platinum line travel agent was helpful enough to call the hotel and tell them to make sure and link the bookings… also confirmed the FSH deal with free lunch/dinner at the hotel, late check out, etc. Booked a couple of BA saver tix on avios, and voila! A pre-birthday weekend trip to Madrid for only £60 out of pocket!